Used 2015 Subaru Forester 2.5i Premium for Sale in Littleton CO 80120 JFR & Associates, Inc.
You have nothing to worry about with the history of this Forester. This one owner has been well cared for. No accidents or damage reported to CARFAX. The interior design is spacious and has plenty of room for tents, bikes, canines and other outdoor tools and equipment. You'll also appreciate the comfortable and quiet ride. This Forester comes with a wide range of options like keyless entry, Bluetooth integration, backup sonar, aux audio jack, alloy wheels, heated front seats, sunroof, heated seats, traction control, plus lots more to make your driving experience more enjoyable. You are cordially invited to take this Subaru Forester for a spin and discover for your self how nice this SUV handles and drives. Contact us today and schedule your test drive. 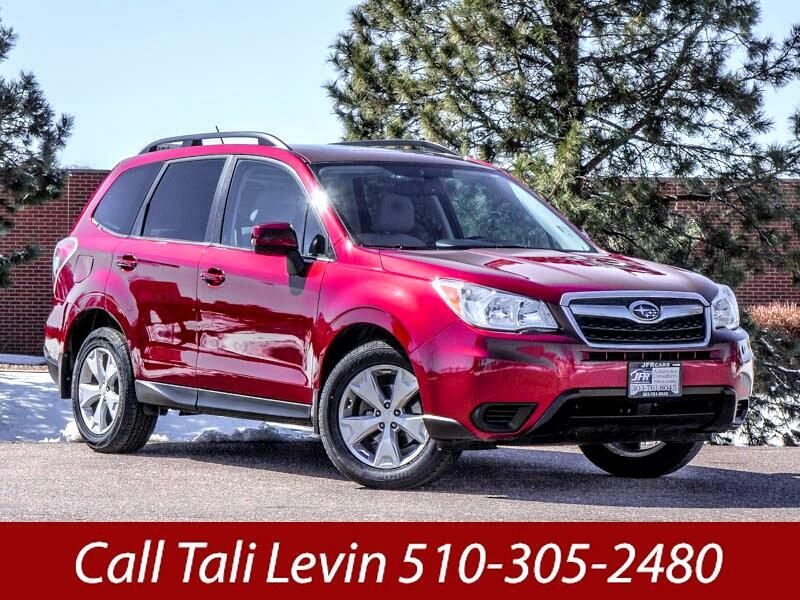 Call Tali Levin at 510-305-2480 if you have any questions or if you would like to schedule an appointment to see this vehicle. Message: Thought you might be interested in this 2015 Subaru Forester.